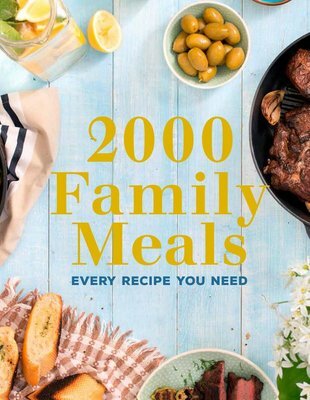 2000 Family Meals contains hundreds of recipes (plus variations) for every occasion. There are ideas for breakfasts, lunches, dinners and desserts. The meals have been chosen with families in mind and can all be made quickly, and easily be customised to suit the tastes of different family members. And with these family-friendly recipes, the children can get involved with the cooking too, learning to make their own ravioli or bake their fi rst cake. In addition to traditional dishes such as spaghetti Bolognese, macaroni and cheese and pot roast, there are tempting recipes sourced from around the world that are sure to become family favourites.